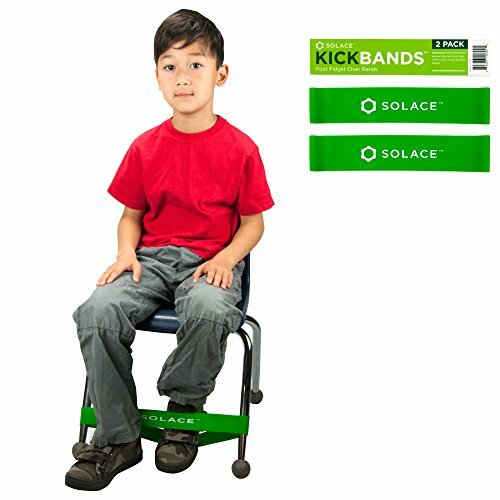 IMPROVES FOCUS & ATTENTION - Kick Bands are fidget bands for chairs designed to increase focus and attention. QUIET & DURABLE - Perfect for class teachers who want to help their fidgeting students with self-regulation and improve learning in the classroom. INSTALLS IN SECONDS - Simply stretch the rubber bounce band over the front two legs of a chair to install. FITS MULTIPLE CHAIR SIZES - The bouncy foot bands can be used on any chair with 2 front legs wider than 10". 100% MONEY-BACK GUARANTEE - Kick Bands are backed by 100% guarantee that you are fully satisfied with your product or receive your money back. If you have any questions about this product by Solace, contact us by completing and submitting the form below. If you are looking for a specif part number, please include it with your message.